A few weeks ago I received an email from a writer for Dr. Oz’s website The Good Life. She had discovered my blog and wanted to interview me for a story she was doing for Alcohol Awareness Month in April. She felt my recovery journey would resonate with many of their readers, the majority being women. My initial response was surprise, gratitude – and fear. Those who know me are aware of my story and while I have written about my experience here on my blog, I have always had a sense of security knowing that my audience is fairly small; that I had some (realistic or not) control over who knew about my journey and recovery from alcoholism. I questioned how much attention I really wanted. Because, really, there are times I’d like to crawl under a rock and leave it all behind me. To not be known for what I used to be, but known for who I am now. But, that’s just it. I am who I am today because of my past. And, after talking it over with my husband and going through all the maybes and maybe nots, I realized that this was way bigger than me. In fact, it wasn’t about me at all. This was about glorifying God. My story is His story. I’m but a messenger. And, when I began looking at it that way, it made my decision easy. Of course, I would share HIS story of faith, love, forgiveness and redemption. Some may say, “But wait, aren’t you supposed to be anonymous? Aren’t you supposed to be hiding behind the tradition of anonymity?” And, my response to that would be, “Who am I helping by being anonymous?” We are taught “You are only as sick as your secrets” yet so many of us choose to keep our sobriety secret out of respect to an outdated tradition. For fear of what others will think, say or do. Sharing your truth is a personal decision. 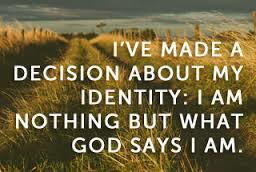 For me, God made that decision for me when I got sober. It wasn’t anything I did to bring me out of the despair of alcoholism – believe me, I had tried before. It was by the grace of God that I went to that first meeting, took my first coin and continue to wake up each morning sober, and grateful. I will continue to speak my truth – His truth. And, by the grace of God others will experience the gift of sobriety. Please click here if you would like to read the article featured on Dr. Oz’s website. Disclaimer: I was not paid or endorsed for my story. My ultimate wish is that other women like myself will find courage to seek help. So proud of you. Every time I read one of your blogs it helps me think of things I need to over come you are an inspiration to all. This is awesome! You are so brave. And you look fabulous! Good for you! This was a well-written piece that will no doubt help at least 1 person out there struggling (and probably many more). It was a Facebook post that first got my attention. Reading your story had me nodding my head, thinking “that’s exactly how it used to be for me too!” Nicely done. Thanks so much, Camille! Despite some differences of opinion, I love AA too. It saved my life and I will forever be indebted. As always, thanks for reading! Shirley! Love you sister! I was just thinking of you the other day. Would love to see you! Amen, girlfriend! You serve an audience of One. This was inspiring.